After waiting for weeks, Kyo Japanese Bar is finally opening later this month. We were among the first to pull into a table in Old Montreal’s newest (and rather distinctive) restaurant and now, so can you. Though Kyo doesn’t officially open to the public until mid June, this past week, due to some great connections (and some help from social media), I found out that the Japanese inspired restaurant had its soft opening a few days ago. I’ve been very excited to try this new Japanese bar and as such my expectations were high. Located on Avenue Place d’Armes in the beautiful Hotel Place d’Armes, Kyo really stands out, even as it’s finding its legs. For a restaurant that has been open just over a week, they already seem to have their wits about them and the food we’ve tasted so far is great. Kyo has been renovated from top to bottom with a wonderful centre table designed for communal dining and tables surrounding it for a more personal experience. The design combines both rustic and modern elements that really shine. The food was delicious and the menu is so extensive, you’ll need a couple of visits to try everything. Standout items were the calamari, the edamame, and the bacon wrapped grapes. In a rare event, I saved room for dessert and had the donuts with a sugar milk glaze. They were amazing! 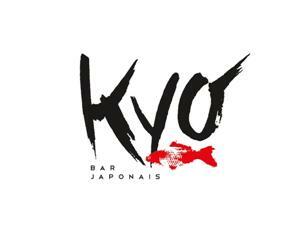 Kyo is sure to be a big attraction in Old Montreal. Day Jobs and the Nightlife will be doing a full piece on the restaurant in the coming weeks but for now we encourage you be among the first to give it a try.